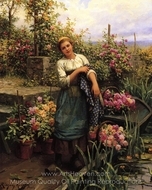 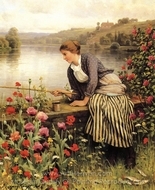 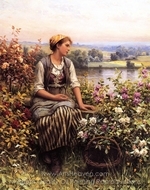 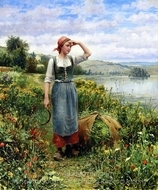 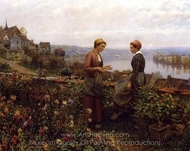 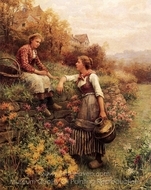 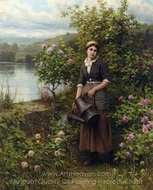 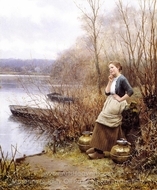 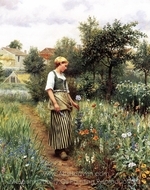 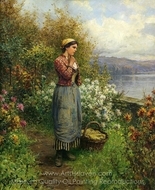 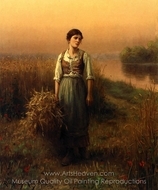 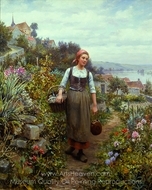 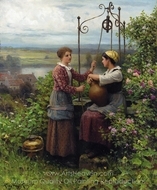 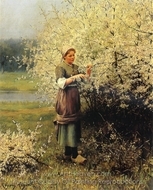 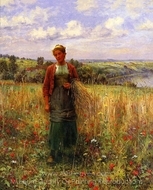 Daniel Ridgway Knight was an American artist born at Philadelphia, Pennsylvania. 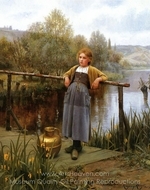 He was a pupil at the Ecole des Beaux-Arts, Paris, under Gleyre, and later worked in the private studio of Meissonier. 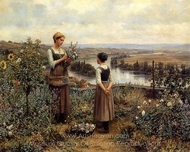 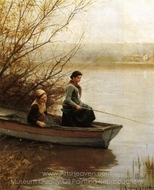 After 1872 he lived in France, having a house and studio at Poissy on the Seine. 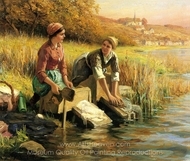 He painted peasant women out of doors with great popular success. 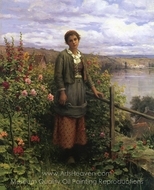 He was awarded the silver medal and Cross of the Legion of Honor, Exposition Universelle, Paris, 1889, and was made a Knight of the Royal Order of St. Michael of Bavaria, Munich, 1893, and receiving the gold medal of honor from the Pennsylvania Academy of the Fine Arts, Philadelphia, 1893. 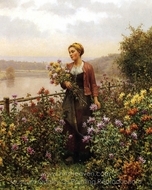 His son, Louis Aston Knight (1873 - 1948), is also known as a landscape painter.